I dunno what y'all like to read with sunscreen on your nose and sandals on your feet. Me? I'm not a "Fifty Shades" kind of girl, so I usually stick to non-fiction and preferably something topical. But it can't be too dense (speak English at the beach! ), it has to have good readability (I looove offset quotations), and it has to be something I care about (hint hint). 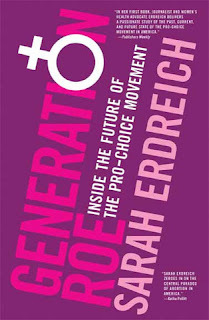 You MUST swing by your local library/bookstore/kindle app and get your hands on Generation Roe: Inside the Future of the Pro-Choice Movement. 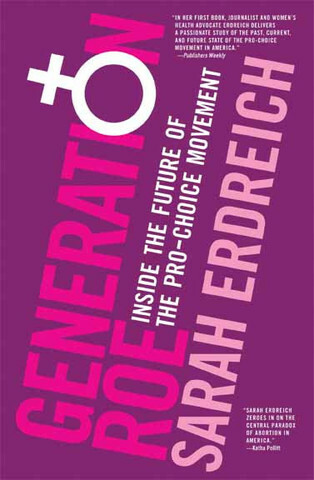 Author Sarah Erdreich is a fellow writer, feminist, and activist who, like many of us, grew weary of the platitudes and talking points about abortion. So she took to the streets and interviewed some of the most prominent providers and activists in the movement (not to mention the Abortioneers!) to demystify abortion and bring important themes to the forefront. Generation Roe is honest, not to mention painstakingly researched. It's so refreshing to hear the story straight from those who live it, and also to read about their reactions to the project; so many women have never told their stories, have never been asked. This book is a priceless resource for providers, counselors, advocates, and anyone who needs to know that they're not dealing with anti-abortion craziness alone. On top of that, Sarah's just a super cool person. From the first line ("I am not a Nazi.") I just knew we'd get along as we dove head-first into a journey through Abortionland, from the pre-Roe era until today. She explores personal stories from women who had abortions, legally and illegally; providers who risk their lives daily to provide the necessary service; and even devotes a full chapter to the treatment of abortion in the media (Chapter Four: (Mis)Representations of Reality). And she's even open-minded and brave enough to wander into the anti-choice crucible that is a protest on the National Mall. All to put together this amazing collection of stories for us. Brava, Sarah, Brava! *Oh yeah it also got stellar reviews, and not just from the feminist community either! I just ordered this. Can't wait to read it! Keep up the good work.